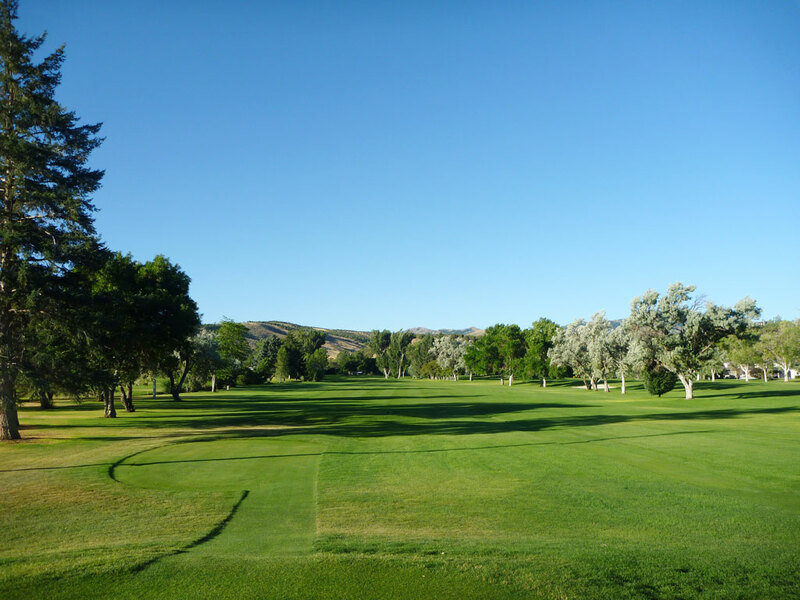 Course Website: Official Website - Visit Juniper Hills Country Club's official website by clicking on the link provided. Accolades: Ranked 32nd in Idaho on Golf Course Gurus' Best in State list. 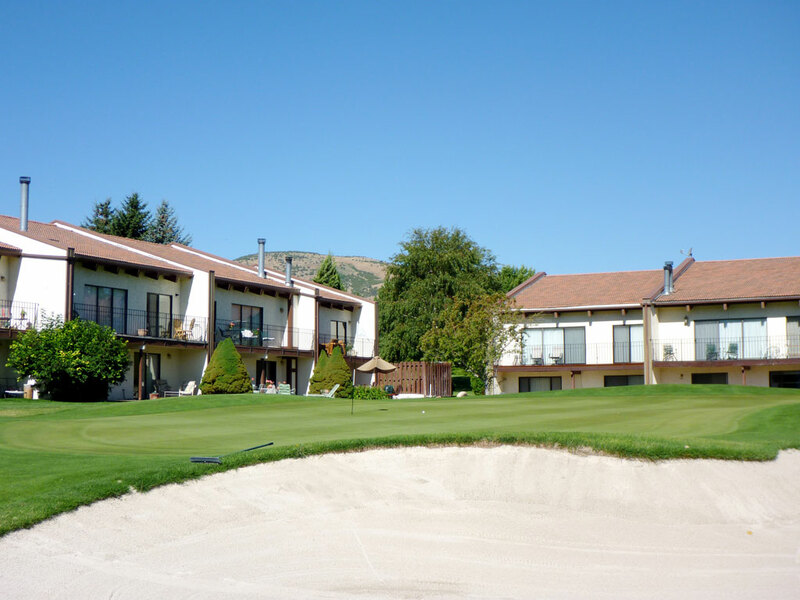 What to Expect: Juniper Hills Country Club is as much a tennis club as it is a golf club as it boasts several indoor and outdoor courts and embraces the two sports that so many people love. 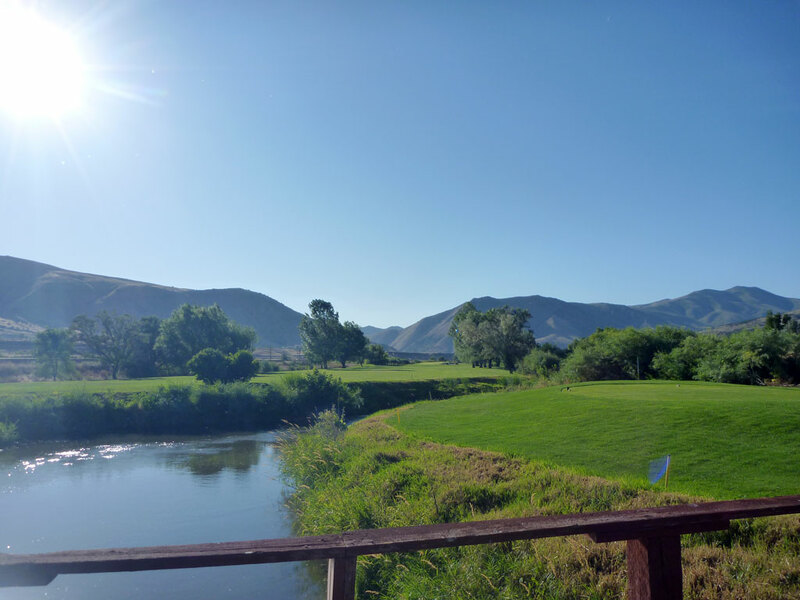 The parkland style golf course is relatively short by today's standards but delivers a challenge with several hazards throughout the track, including the Portneuf River. Conditioning is always excellent and you can expect the greens to be running true. 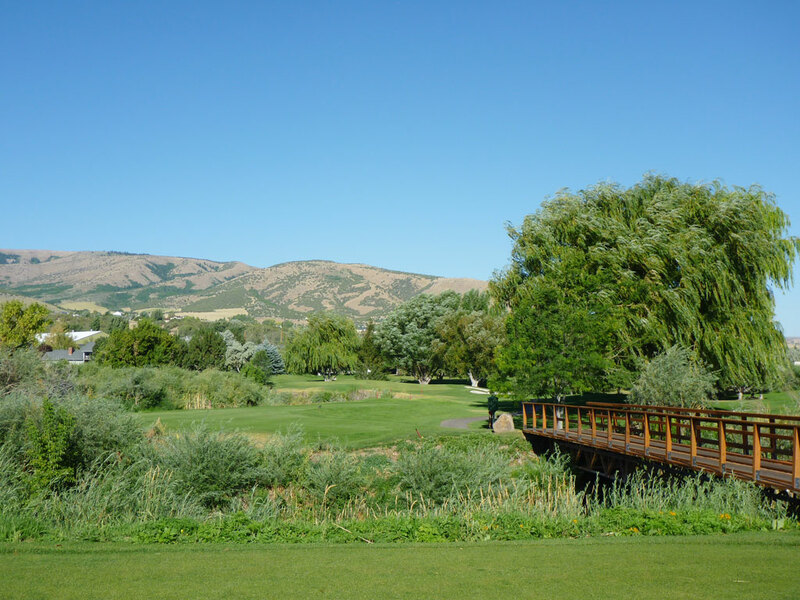 Signature Hole: 11th Hole – 507 Yard Par 5 – The Portneuf River winds along the western boundary of Juniper Hills which rests next to the railroad tracks that oniginally brought growth and prosperity to the city of Pocatello. 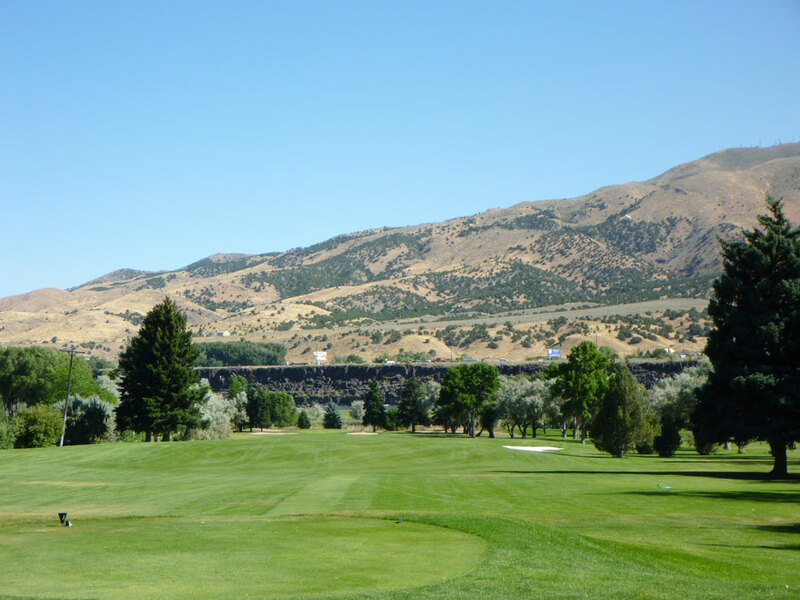 The 11th hole embraces both of those features as it runs nearer to the railroad tracks than any other hole and has the Portneuf River cutting through the fairway twice. Best Par 3: 12th Hole – 140 Yards – The short 140 yard (97 yards one tee box up) 12th features a carry over a slice of the Portneuf River and features the most undulated green on the golf course. Three-putts are extremely common on this green that is protected by a lone bunker on the right. Best Par 4: 9th Hole – 459 Yards – The finishing hole on the front nine is a classic feeling hole that gently moves uphill and fades to the left. A creek meanders along the left side of the hole while a bunker rests on the right side of the green to offer protection from the optimal playing angle. Trees squeeze the green on the left which severely narrows the playing area near the putting surface and delivers a solid challenge. At 459 yards it is the longest par four on the course and plays even longer going up the hill; par here is a great score. Best Par 5: 11th Hole – 507 Yards – Already featured as the signature hole, this reachable par five features a lateral hazard to the right, o.b. to the left, and the Portneuf River cutting through the hole twice. The challenge doesn't stop when you pull out your putter because this tiered green can be difficult to navigate depending on the pin position. Birdie Time: 1st Hole – 475 Yard Par 5 – The opening hole at JHCC might be the easiest opening hole I've ever played. If there was a major tournament ever held here this 475 yard downhill par five would surely need to be changed to a par four, at which point it still wouldn't be the most difficult par four on the course. The generous fairway is protected by a creek on the left and a lone fairway bunker on the right. If your tee shot avoids those two obstacles you'll have an iron in your hands with an excellent chance of reaching this green in two and two-putting your way to a -1 start to your round. Bogey Beware: 18th Hole – 277 Yard Par 4 – At just 277 yards, you would think it was a misprint that I was posting this par four finishing hole as a hole to beward of bogey. 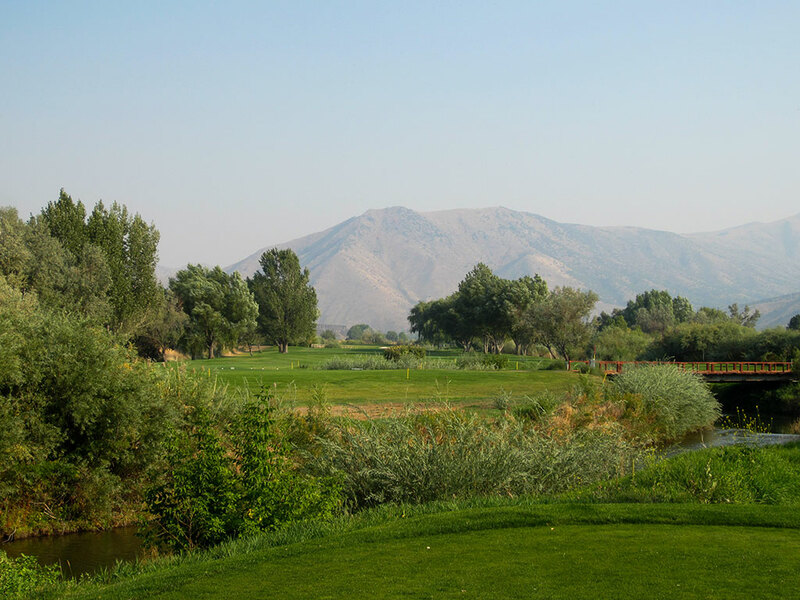 However, this hole features the tightest landing zone in eastern Idaho with a narrow fairway that slopes left to right and kicks balls out of bounds into the neighboring yards. The temptation is to pull out driver and land it on the green, however o.b. stakes lace both sides of the fairway and the slighest miscalculation will result in reteeing and hitting three.